Ferrari F1 86 Formula One Brochure. It measures approximately 7 x 9 inches. 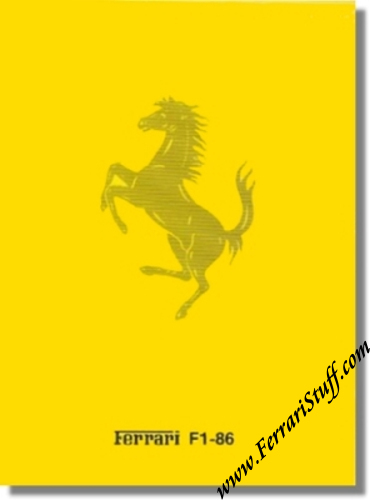 Ferrari Print Number 418/86, issued in 1986, printed ARBE, Italy.